Leading British artist Stuart Semple (known for flooding the London Skyline with thousands of soap smileys outside Tate Modern, secretly adding his own work into the Saatchi Gallery, celebrities that own his work including Sienna Miller, Debbie Harry, Tamara Ecclestone, Uri Geller, Noal Gallagher and Bradley Cooper), has enlisted the unlikely talents of musicians including Maxim (the Prodigy), Ian Pickering (Sneaker Pimps), Charlotte Church, Officers, Doug Tielli, Karima Francis, Ed Laurie, Black Moses (Jim Jones Revue), Sam Forrest (nine black alps) & Paul Fryer to create a super limited edition vinyl LP ‘My Sonic Youth’ to raise funds for CALM (the campaign against living miserably). Semple says “It’s unbelievable to me that suicide is the most likely cause of death for young men under 45 in this country. That simply has to change and CALM are at the forefront of doing that, so this record has a really important reason to be here. I can’t quite believe how generous the musicians have been and I so proud of what is a really strong album”. Priced at £150 each and limited to just 250 copies, the collectable package contains an exclusive digital download, 12” vinyl LP and a 7” bonus disk alongside a signed and numbered print by Semple. 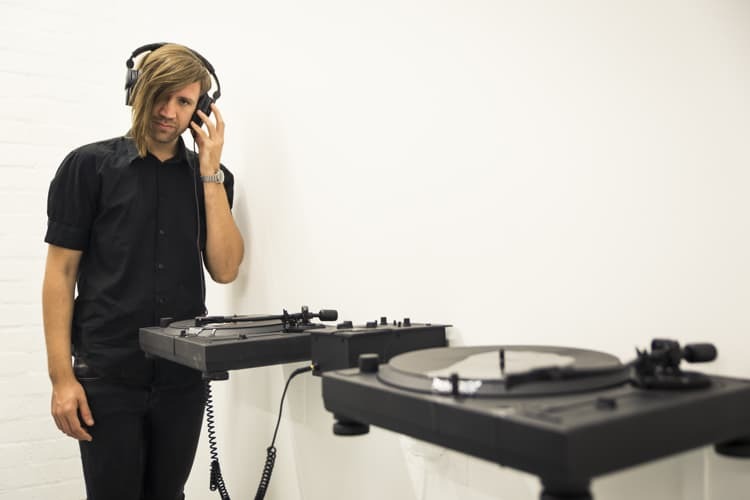 The record can be heard in its entirety at the artist’s current exhibition at Fabien Castanier Gallery in Los Angeles until January 10.